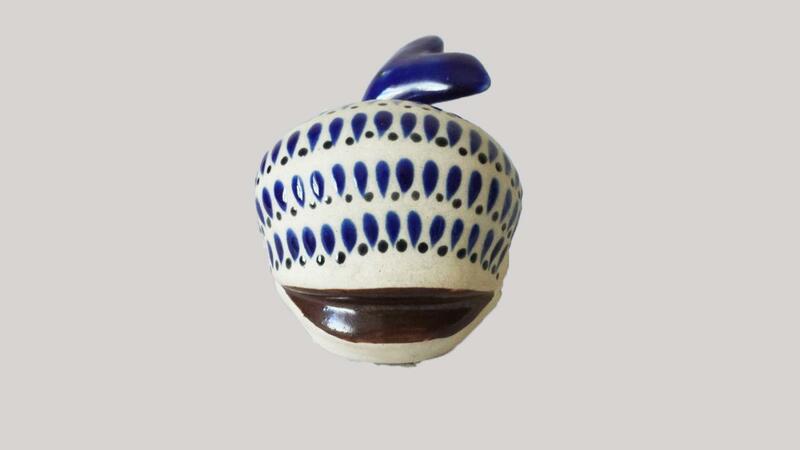 It is painted with raised blue enamel markings on the off white unglazed pottery and a brown mouth . The signature is faint but from others I have seen it should say "Mexico C.O". 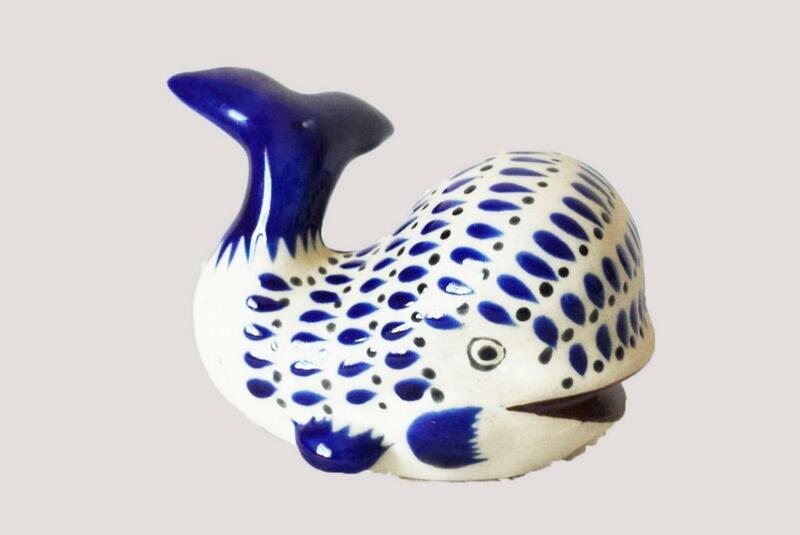 The whale is about 5 in long and 4 in tall.